Here’s a very sweet picture of two elderly people looking into each others’ eyes. Well, at first anyway. 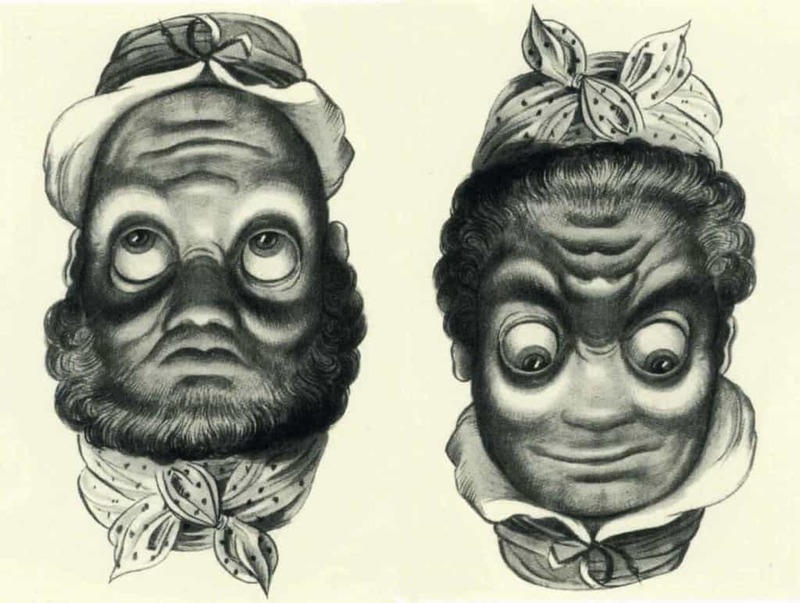 On second glance you’ll find something else — another version of each perhaps, inside their own heads. Maybe they’re remembering the good ole’ days. Were you just wondering why someone would go to a party without their clothes? We were too! Right up until we looked again and saw that this lady is actually probably fully clothed, but unfortunately caught at just the right (or wrong!) angle. This painting will make you look again and again. It’s a ship and a bridge. Or is it? 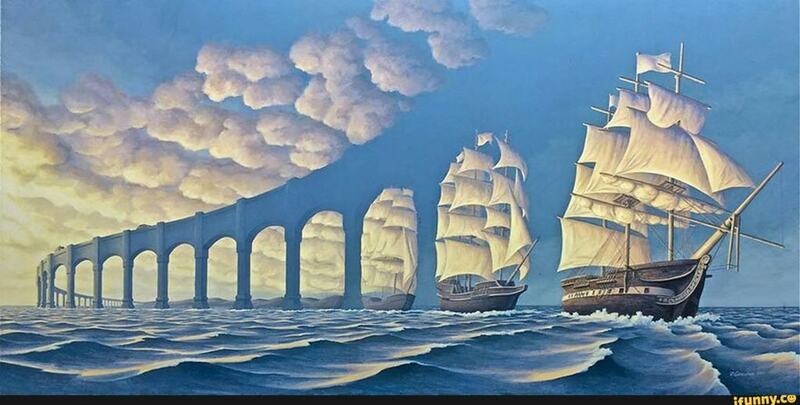 When do the clouds stop and the ships start? Good luck with that one! 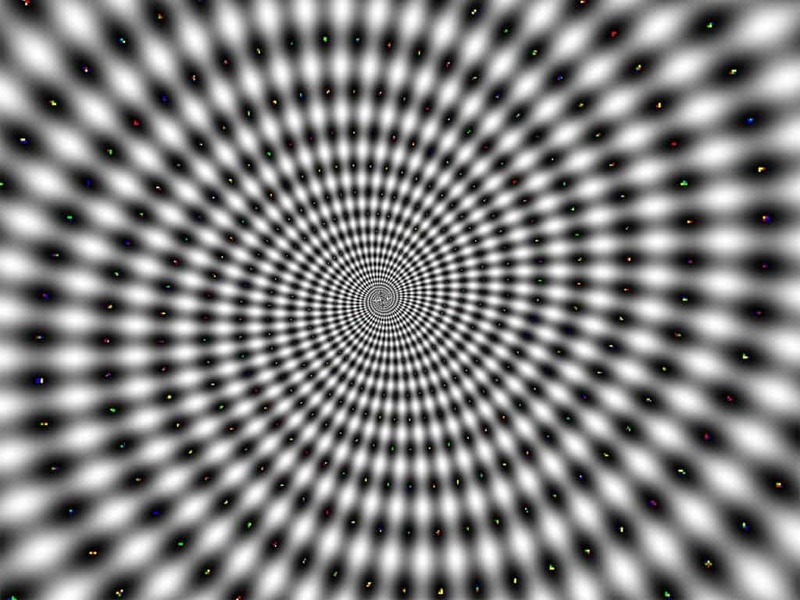 You may need to close your eyes after this one! 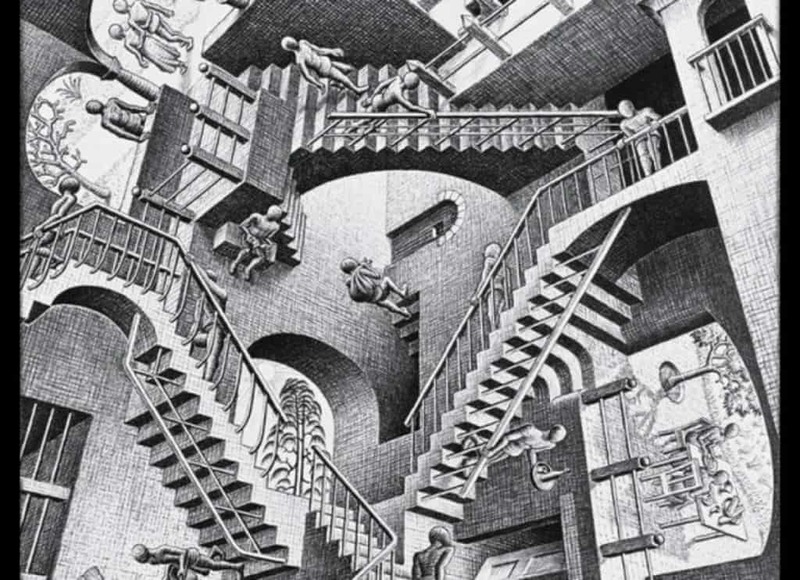 It’s dizzying to follow all of these stairs and if you can figure out where they actually lead, you should pat yourself on the back! Well done. Well here’s an alligator you don’t need to run from. Although this guy looks like he could take off your head, he’s actually harmless. 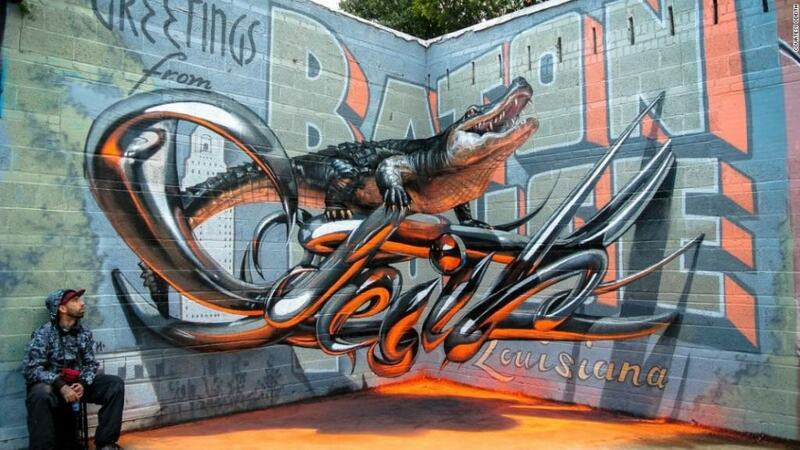 This gator is painted on the wall! At first glance it looks like someone discovered a hidden gem during demolition. But no, it’s not an ancient structure underneath. 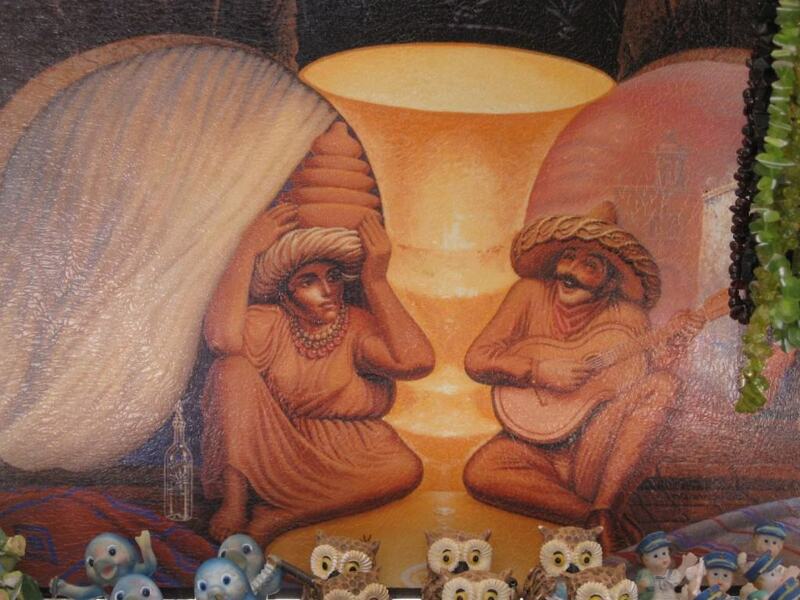 This is simply a mural. 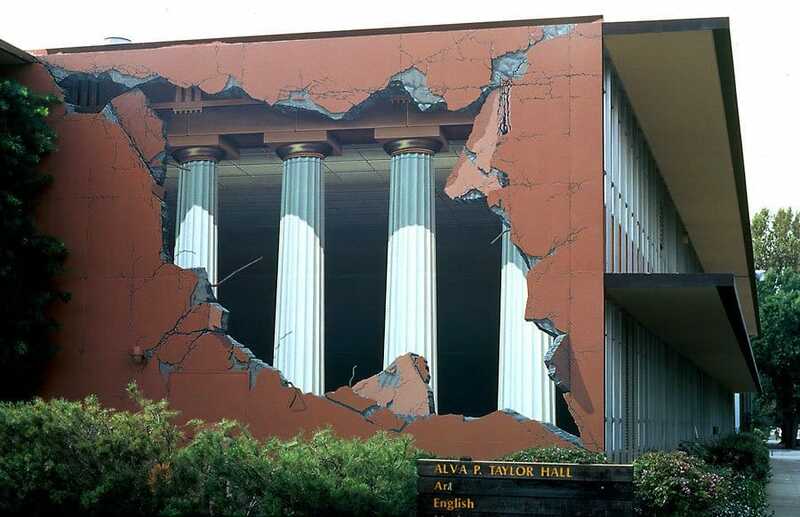 A really good mural! 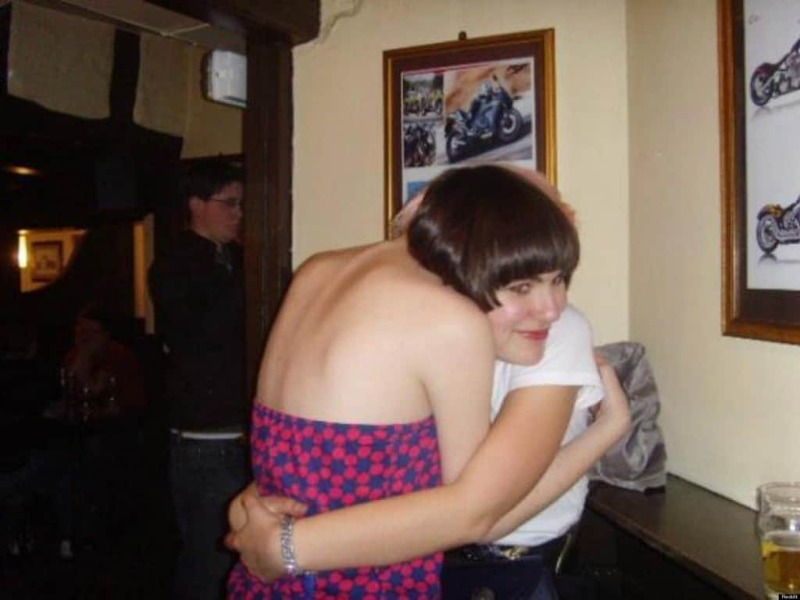 It looks like a head is being squished between two headless women. Or that the woman on the left has a really long neck! But this head actually belongs to the lady on the right who is scrunching up her shoulders while hugging her friend. Whew, relieved huh? 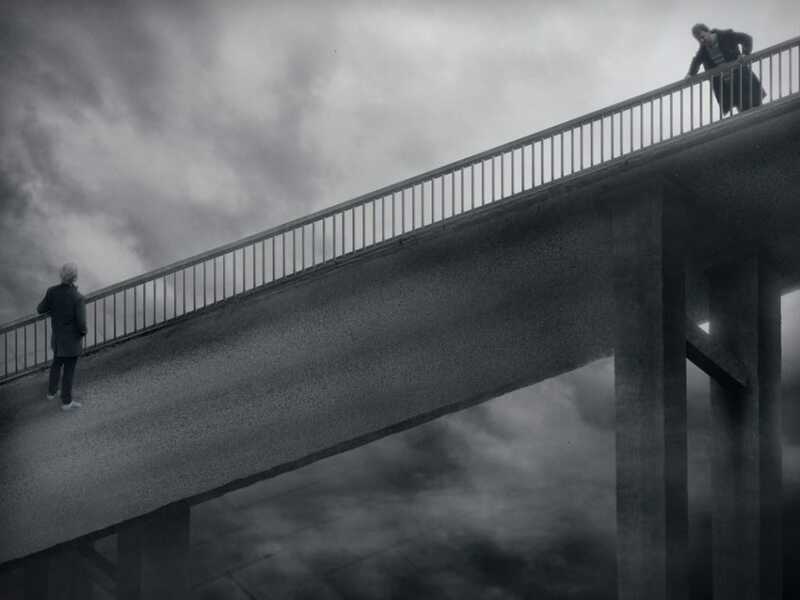 At first glace it appears that two guys are on a bridge. Look closer. Yes, just a guy in a bridge. Now find the other one. Wait! How is that possible?